My preschooler broke a safety rule that I did not teach him. How can I explain abduction way he could understand? - “Is he with you?” my husband asked. - “What do you mean by BOTH? I have Dill, Tek was with you!” I tried to keep calm. My hands shivered, and Dill looked up at me. - “Tek not here. He was riding his bike around the playground and now I can’t see him.” My husband was out of breath from running. Dill and I dropped the bike and sprinted back to the parking lot, yelling and checking everything. I looked in the bathrooms, on the parking lot, on the playground, on the tennis courts, on the trail, on the field, in the pavilions – everywhere. He wasn’t there. The cars left the parking lot one by one. - “Should I call the police now or should we make one more round running?” I wondered. One scary thought ran after another. - “He’s here. I found him!” – I could barely hear my husband’s voice over our son crying in the background. I let the out the breath I’d been holding, and the tears dropped on my cheeks. We were not idiots letting kids run around the park at night while we checked our social media feeds. Kids run off in an unknown direction with their new friends, ride their bikes way too far, hide in the store, or just walk away without paying attention and get lost. - “I was riding my bike around the playground. I was chasing a squirrel. I thought you went to the parking lot,” he said. He was riding too fast. He went to the wrong parking lot. He started looking for the right one and got lost. - “Why didn’t you tell us where you were going?” I asked, wanting to kick myself – I hadn’t taught him this rule yet. I thought that at 4 years old my son was way too young to be required to share his plans before leaving. 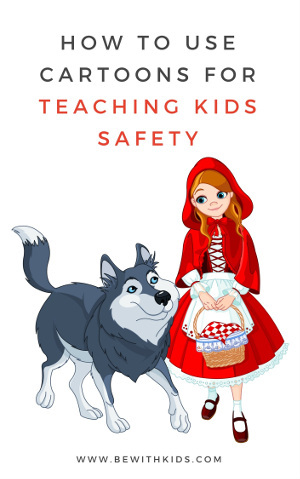 Mistake #1: Not teaching safety rules early enough and low level of safety skills were half the problem (you can test your child's safety score here). 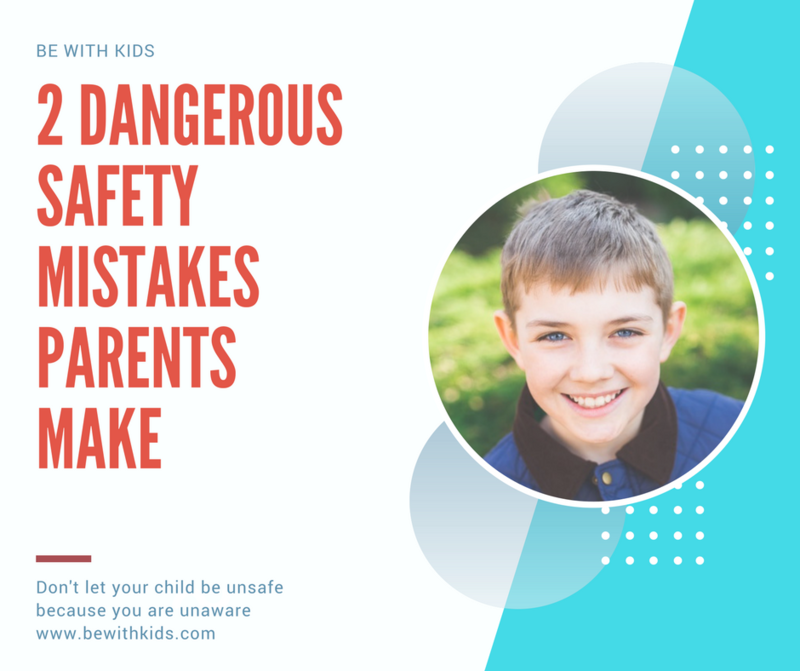 Mistake #2: The other half was how to explain the worst safety topic ever in an age-appropriate way without scaring him. 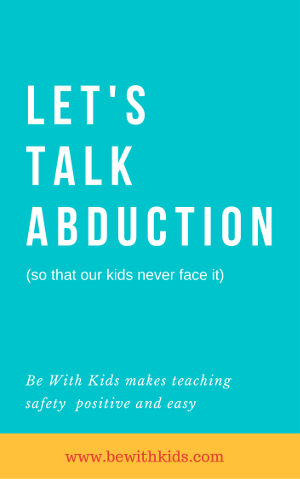 Abduction bothers you more than your kids. Abduction by strangers are less common than those committed by people that kids know or "kinda" know. 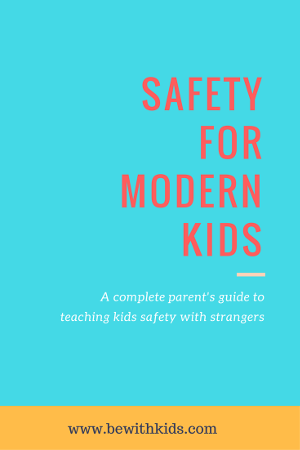 Related article: Why stranger danger is not working and what to do instead. The idea came when we were reading a book of classic fairy-tales. - “Do you see the gingerbread man?” – I asked my son. We also talked about Little Red Riding Hood, Aladdin, Thumbelina, and Rapunzel where kids were kept somewhere forcefully. It wasn’t so scary to talk about abduction, mean adults, and dangerous mistakes when it was happening to a character in a book. Kids understand and remember safety rules applied to a story. Don't tell kids everything that bothers you. Instead, simply explain that nothing good will happen there. Empathize how bad they felt separated from their families and how sad their parents were. 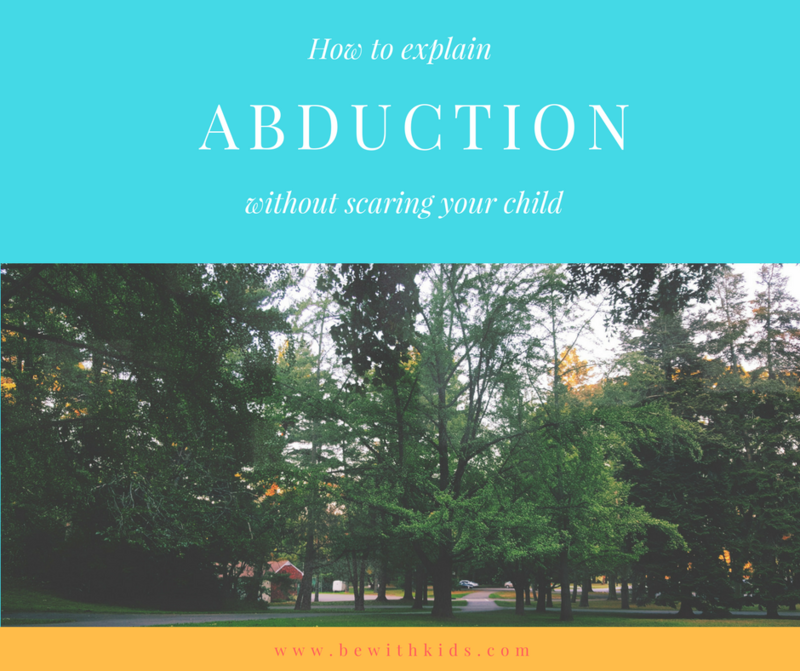 "How to teach kids about abduction in a non-scary way using stories, books and cartoons"
On these examples you will learn how to use almost any story, cartoon or life situation to teach safety. + Explain this super sensitive topic in a delicate, neutral way without feeling scared or scaring your child. When you keep in mind kids’ safety rules yourself, you’ll see examples to teach them everywhere in your life. The best way kids learn is by playing and experiencing the lessons. That’s what we do in our training – kids learn how to respond properly to challenging situations while in a safe environment that you can control. You don’t need to fake any situations. You’ll be able to use opportunities in your everyday life by just paying attention to them, and including stories, games, books, movies, and cartoons you already know.